San Pedro Sula, Honduras: The 27th Street plant (WRAP Certified) is our multi-style factory producing a wide variety of products. It has 144,000 square feet and 2,343 employees. El Baron, Honduras: This location is our unique customer team uniform operation. It has 90,000 square feet and 1,459 employees. 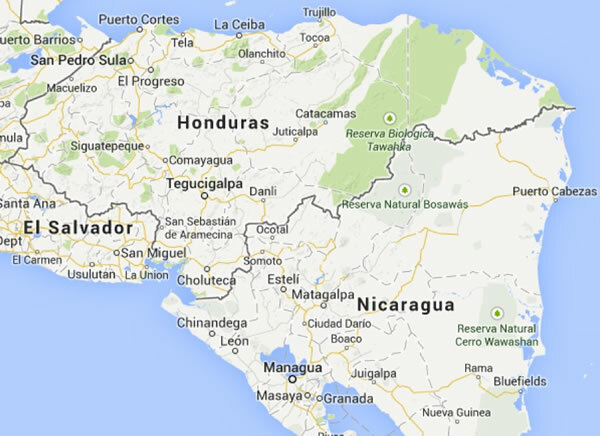 Honduras: Southern Apparel (Sothern Apparel Contractors - SAC) is a 108,500 square feet plant and 2,507 employees. Our specialty at this location is our large volume, high embellishment operation. Nicaragua allows us to import fabrics duty free under the TPL Agreement with a specialty of multi-style. There are 101,294 square feet of manufacturing area with 1,863 employees in the Tipitapa, Nicaragua facility. Our location is ideal for quick service. We are only a 45 minute drive from the port so our containers can leave the factory and be on board within hours. We are only 20 minutes from the San Pedro Sula International Airport so we can quickly meet the needs of any air shipments. Honduras, in the north-central part of Central America, has a Caribbean as well as a Pacific coastline. Guatemala is to the west, El Salvador to the south, and Nicaragua to the east. Honduras has 1 Pacific and 4 Caribbean seaports with Puerto Cortes located on the Caribbean coast, which is Central America’s largest and most efficient port. It provides 24-hour service and no wait time. 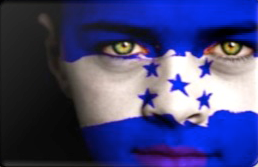 In addition, Honduras has a reliable international direct dial system, cellular and satellite phones, internet services, broadband, dedicated lines and high speed wireless along with other modern telecommunications services. In our facilities, we have an enthusiastic pool of skilled workers from which to choose. The sewing industry along with the Government have been providing training in the sewn products industry for over 20 years, creating a large group of experienced people. Through continuous training programs, we develop personnel to work in quality and production departments. This gives us loyal and very experienced work teams in the factory. We develop a spirit of teamwork and cooperation with all of our employees and they respond very favorably to this policy. Our people are proud to be part of the New Holland team. Nicaragua is the largest of the Central American countries. Nicaragua's capital city, Managua, is located in the southwestern part of the country. Total Population: 5,466,000 Managua: 1,680,100 Tipitapa: 140,000. Trade Preference Level (TPL) is a special consideration given to Nicaragua to give the country additional help in their development. TPL allows a manufacturer to use fabric and yarn from non-CAFTA countries and still be eligible for the duty free rate when exporting to the USA.